went there about 6.50pm. luckily i found a parking lot in front of restaurant. the place was 90% filled with many tables of western expat families. it was very popular eating place. for me that’s a good thing really, that expats, western & others, were enjoying nice local zi char food. there would always be concern if some dishes would be adulterated, but it didn’t really affect the dishes we ordered much (maybe the cuttlefish kang kong sauce & the satay sauce). we ordered our favourite, the thai curry fish head. used to be S$15 (guess that was eons ago..haha), now S$25. i ate this here more recently on 2.4.2014.
we were lucky we were served like in 5 mins. not always the case & place was quite packed. the thai curry fish head was really good. 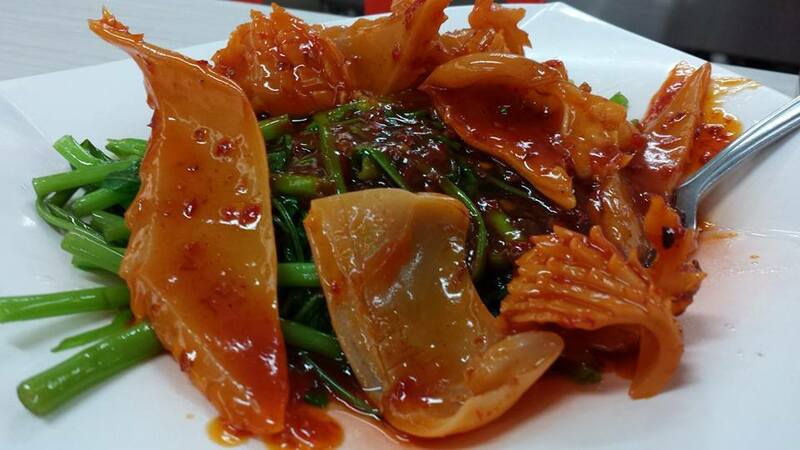 it was tangy, sweet, very tasty, lot of vegetables. it was a large 1/2 angkoli (red snapper) fish head. 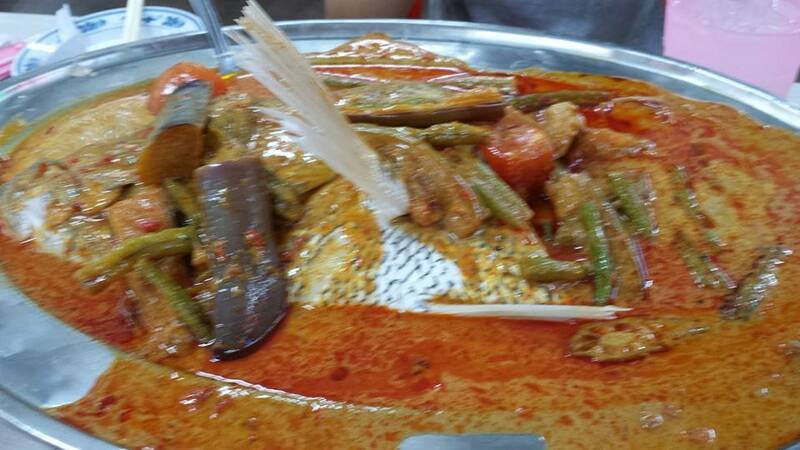 the nonya song fish head at keng eng kee, also S$25, i had on 9.6.2014 came close. the sauce was thicker, same tangy sweet flavours but a red snapper head was always going to be better than song fish head for curries. we like the hor fun here & occasionally “tapao” (did a take-out). usually wok hae (pan flavours) very good. this time it was ok average. 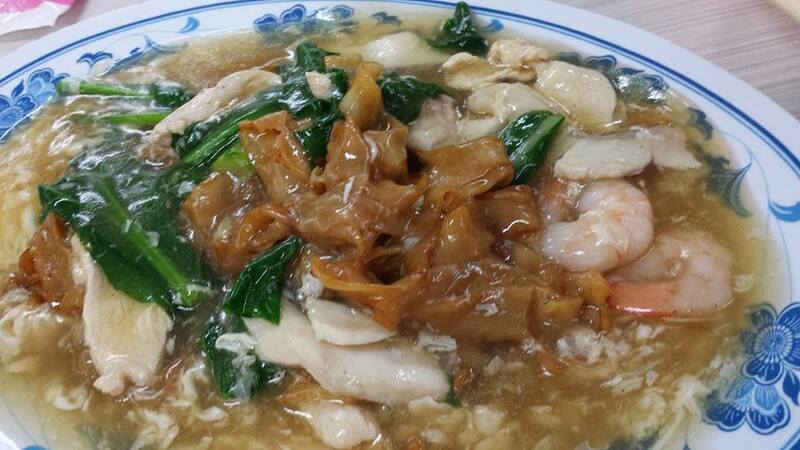 we ordered the “jill her eng chai”- cuttlefish with kang kong (S$10). 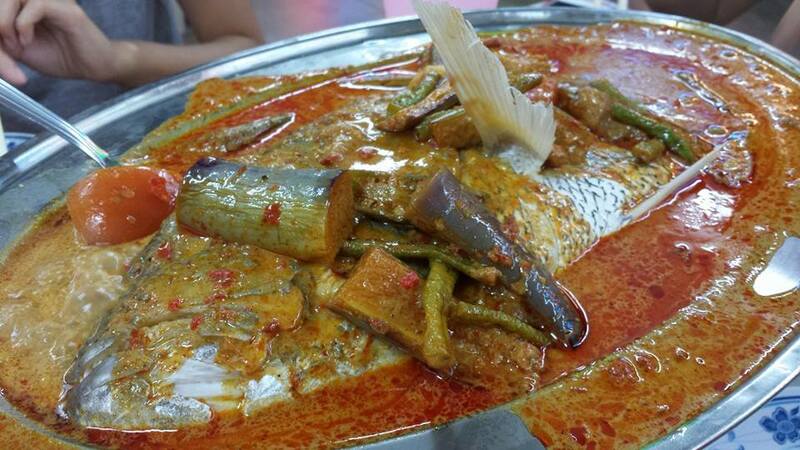 the kang kong was very good. 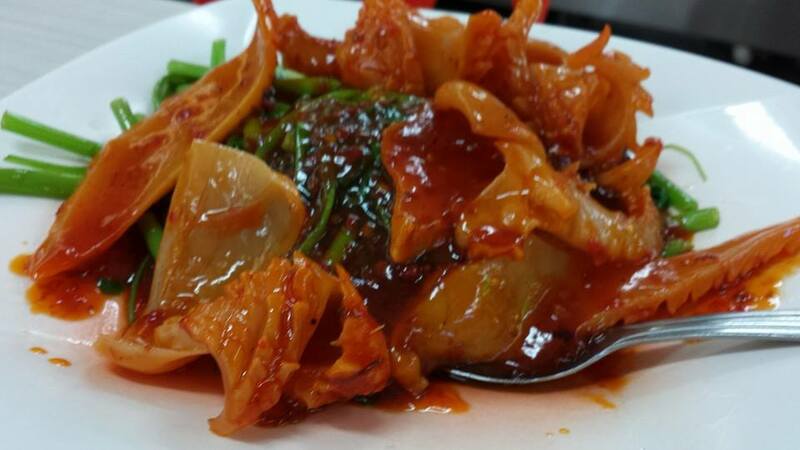 the cuttlefish was good, came with an unusual sweet sauce (looked & tasted just like yong tau fu very red colour sweet sauce). it was not the usual sambal. i didn’t mind it actually but i guessed the usual sambal should be better. 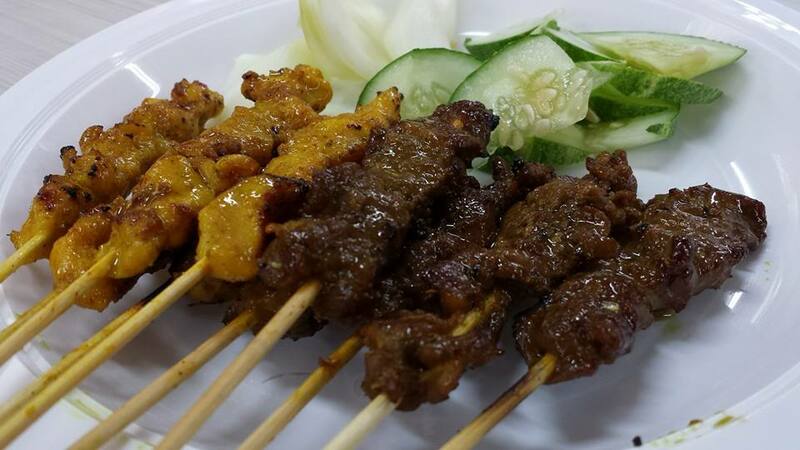 the satay were very good, very tasty & not dry or tough. the sauce was watery & a bit sweeter than most satay sauce (to cater for expat diners maybe?) but still nice. 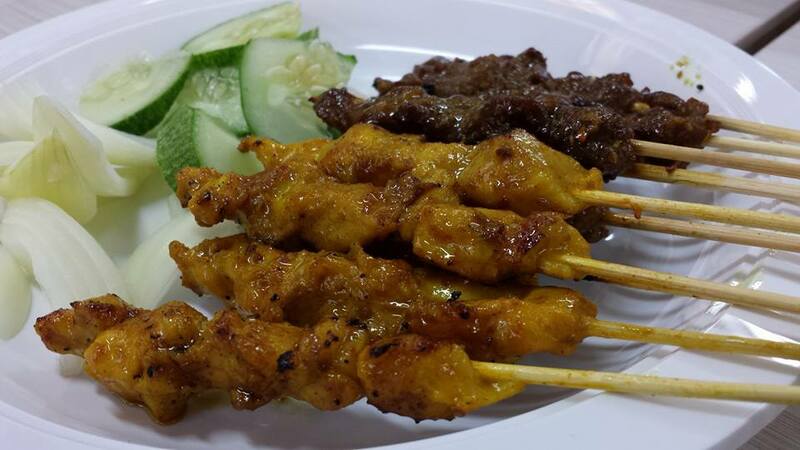 I thought this was a very good satay if only they served a usual better sauce. 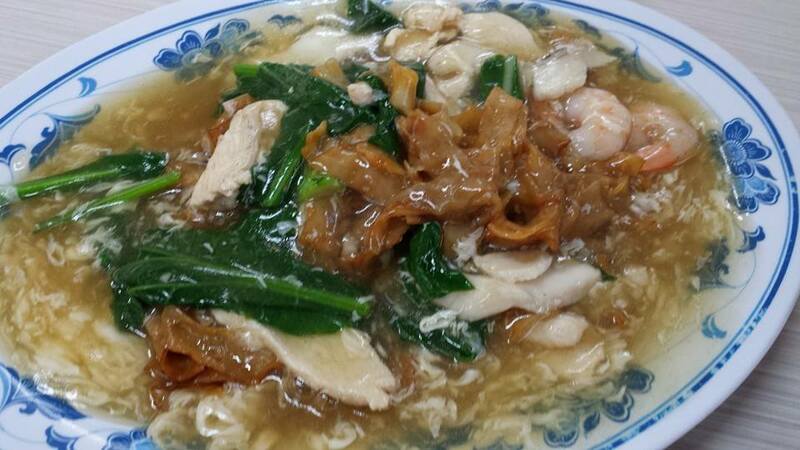 the dinner for 3pax was S$45 exclude drinks. it was not cheap but not expensive also, just the going price i guess. This entry was posted in Buon Appetito!, Hawker Food Tour & Hike in Singapore and tagged "jill her eng chai", angkoli, cuttlefish with kang kong, forture restaurant, keng eng kee, nonya song fish head, old holland road, red snapper, satay, seafood hor fun, thai curry fish head. Bookmark the permalink.